If you are a gamer then you know the importance of screen recorder or if you are vlogger who makes videos and uploads in social media know the importance of video editor. If you are a pro gamer and want to show your skills you will make gameplay or live stream on the social media platform. The gameplay requires powerful recorder and video editor so that you can remove the unnecessary sound then share it to the social media platform such as Youtube, Facebook etc. If you know about the screen recorder and know how to use them well and good. But if you are confused which software to choose here are some best screen recorder for pc which can be used for this purpose. What to use Screen Recorder? There are many places in which a screen recorder are useful. Given below are the one of the best screen recorder for pc which you need to know. If you formed some tricks and you think that you will forget in a few days in that condition where screen recorder works. You can record all your tricks or steps so that if you forget then you can remember by seeing that video. The screen recorder can be used in the technical support if you are facing any difficulty regarding software installation or other errors are showing you can use the recorder to record the problem and send it to the technical support team. Also, it can be used for different purposes such as making gameplay, demonstrate your software program and video-based information to sell your products. With the help of the screen recorder, you can tutorials for schools and colleges. Here is some best screen recorder for pc which you can use for recording purpose. In this article, there are recorders which are free of cost and also the paid ones. To avail more features you need to pay the upgrade to pro or the premium pack. The reason to choose this screen recorder is the ease of use. Take the screenshot of any moment you like annotate it and share to your friends or in the social media in minutes. What do you need more than this? This screen recorder is available for both the platforms i.e. windows and Mac. The software takes the title of best screen recorder for pc. The software is free of cost up to certain features after that you have to upgrade to the pro pack which is one of the cons of this software. If you want to upgrade to the Pro or Premium pack it will cost you around $9.95 USD for one week, for the standard pack price ranges to $29.95 USD and if you are going for the business plan the cost will around $199.95 per year. You will be provided with 2TB of storage if you opt business plan. In the free version, the maximum length of the video is around 5 minutes. but in the paid version, it will increase to 120 minutes. Remove the ads and promotions in the paid version. Also, you can do the video annotation. You can use a webcam to capture images. Record your video with the webcam. 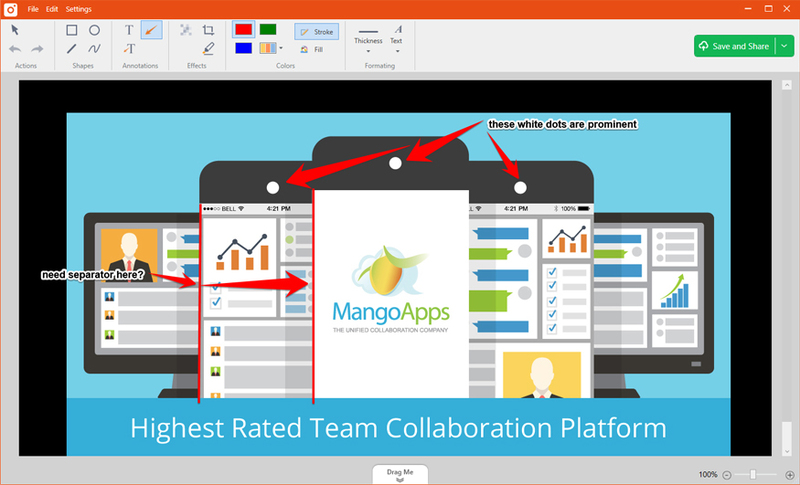 Take a screenshot, annotate and share easily. You can assign shortcut keys to ease your work. No problem regarding proxy servers as it is proxy server friendly. Store your videos and screenshots in the cloud. If you want to run this software on your pc then these are some basic and essential requirements which are required to run the software. Window 7 and later versions. At least 4 GB of RAM to run the software smoothly. Excellent screen recording software which is admired by the big brands such as the apple. Along with screen recording, you can do the video editing. There are so many videos just cut the best part and take the screenshot or make a video of your own edit by ScreenFlow video editing tool and share with friends or on the social media. The software is available for Mac OS only. Edit your video using the easy to use edit interface. Also, you will be seeing the best quality screen recording when viewing on the retina display. The ScreenFlow software is free of cost but if you want to avail some more feature then you have to go for the paid version of the software. The paid version of this software will cost around $129 USD for a year membership. With this, you will be able to access some professional editing features to make your video more stunning that’s why it is one of the best screen recorder for pc. Record high quality of videos. ScreenFlow comprises of the recorder as well as powerful editor. You can also do the ios recording. You can add a caption in your recording with the help of closed caption support. Add animations and motions graphics to your videos. Since the build is available for the Mac only. Here are the minimum requirements for the software to install and run on your Mac. Requires 64-bit processor with core i3+ generation and above. At least 2 GB of RAM to run the software smoothly. 20 GB of free hardware space to install the software. One of the most popular screen recorder which is used by many professional gamers to record their gameplay. The software is available for Windows only. The Ezvid software is totally free of cost just download the software and start recording. You can record everything which is running on your video i.e. movie, game and applications. Since it is free of cost but you can willingly donate from $9 to $250 dollars. All the screen recordings are done in HD. You can edit the video with the help of the video editor and write the text in between the video or on the screenshot. With the help of the instant Facecam, you can take images, edit them and share with your friends or in social media. 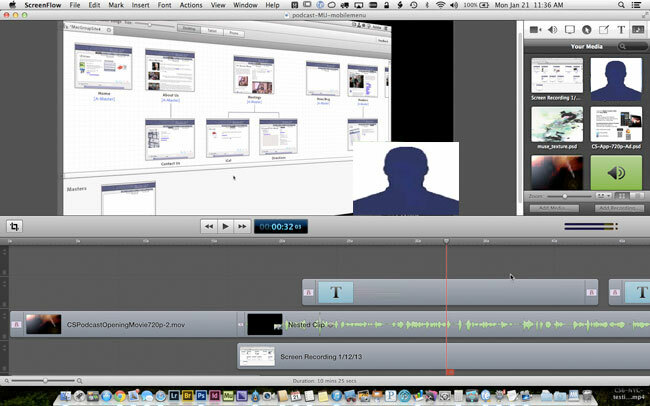 The instant speech synthesis allows you to merge your voice with the video. Instant Facecam and voice synthesis. Take the snapshot of the amazing moments during the game or in the video or application. Free music is included in the software. You can draw or even write text in the video or snapshot. The minimum requirement to run the Ezvid screen recorder software on your pc is given below. Works on Windows XP service pack 3/Vista/7/8 and 10. At least 1 GB of RAM to run the software. 0 GHz processor is necessary. 10 GB of free hard drive space. Minimum resolution 1024 x 768 is required. DirectX 9.0 or later to run this software. The Icecream screen allows you to capture any area whether a particular area or whole screen. This feature made this software different from the other recorder. Also, you can record your webcam while recording any video or taking a screenshot. The best screen recorder for pc you can record your game or any methods which you will forget later on or any movie clips all things will be recorded in a professional way. The recorder is free of cost but contains limited features if you want more features then you have to upgrade to the pro pack. The cost of the pro pack is around $29.95 which is a one-time payment you have to do and you will be upgraded to the pro pack. Select the area of your own choice which you want to take the screenshot. You can take screenshots while editing the screenshot or video. You can see the history of your screenshots or recording you have done in past. In this software, you can add your own watermark. Tutorials of the screen recorder who are using this software for the first time. You can choose your recorder output quality. 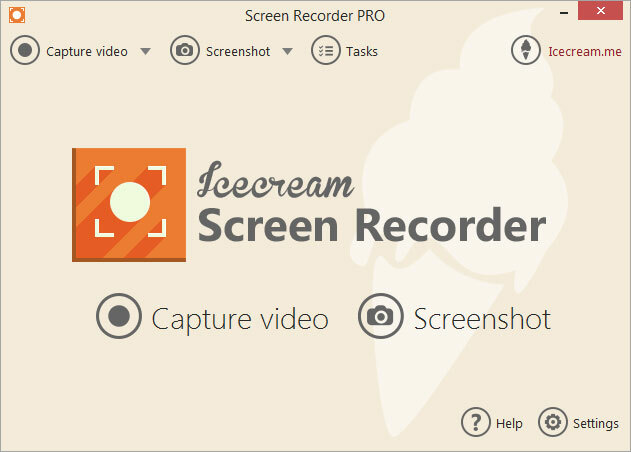 The Icecream screen recorder is available for the platforms i.e. windows and Mac. Here is the system configuration for both Windows and Mac. Works on all the versions of windows such as Windows 2000, Windows 2003, Windows 7/8/8.1/10. 66 GHz Intel or AMD or any compatible processor. At least 1 GB of RAM (4 GB for better performance). 5 GB of hard drive space is necessary to install the software. The operating system to run the software in MAC OS X 10.9 Mavericks, OS X Yosemite. This software is available for Windows, Chromebook, and Mac. In this software, you can capture any area of the screen not only this you can add a voice through a microphone or webcam. After that, you can add music and write captions on the video or screenshot. Now trim the video if required and your video is ready to upload in Youtube and other social media sites. The software is free of cost up to certain feature if you want to avail more feature then you buy Deluxe or Premier plans. The Deluxe will cost you around $1.50 per month and for Premier the cost is $4 per month. Since the software has secure backup as well as security feature which makes it best screen recorder for pc. In Premier plan you will get Deluxe, hosting and secure backup along with all the features of deluxe version. Want to make any changes or add any cation use video editor tool to edit the videos. share your content and protect it with video management tools. Watermark are present after the video is made. The software works different builds of windows such as 7/8/10. For Mac OS the operating system should be 10.12 or higher. The best screen recorder for pc and why because it is free of cost. Secondly, no watermark on the video as well as ad free. Thirdly, every recorder has some time limit after that you have to upgrade to pro pack to increase the time limit. This limit is not there for Free cam screen recorder because you can record for unlimited time. What you have do in Free cam screen recorder. First you can select the entire screen or a part to which you want to record. Add some background music to the video. Now fine tune your video by removing the background noise. Delete the unnecessary part and add some effects in your audio. After the video editing is done your video is ready to upload on the social media. No watermark on the video made by Free cam. No time limit for the videos. The software is free of cost. Saves videos in HD format i.e. 720p or 1080p. Record your voice easily with the help microphone or other sources. The Free cam screen recorder is available for the Window base only. It supports various versions such as the Windows 7/8/10 both 32 bit and 64 bit. To sum up, these are some best screen recorder for pc which is most popular and used by millions of people. If you have used any of the screen recorders mentioned above in the article then tell us in the comment section. which screen recorder you like the most in terms of feature and easy to use? Also if you like this article share with your friends who are confused about which software to use. This article will help them to understand the screen recorder functions and features so that they can choose their software wisely. I will conclude my topic by saying that “An investment in knowledge pays the best interest“.